Lenovo has opened its first high-performance computing (HPC) centre, which it hopes will support open innovation for its customers and business partners. The centre, based in Stuttgart, is part of Lenovo's enterprise server expansion, following the acquisition of IBM's x server business in 2014. According to de Lencquesaing, HPC represents a $5bn business for Lenovo. “We are putting our money where our mouth is. HPC is the fastest-growing market in the server space. It will be worth $15bn in a few years,” he said. The Chinese hardware company used the HPC centre launch to highlight its commitment to global innovation. Lenovo has 15 design and research and development (R&D) centres, together with nine HPC application teams. 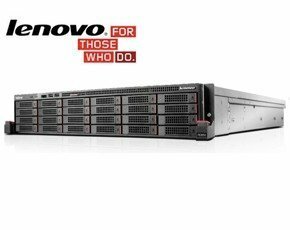 Lenovo challenges Dell and HP in server space as worldwide server market grows. Lenovo states it will turn its acquisition of IBM’s x86 server business into a $5bn profitable business within 12 months. T-Systems has successfully migrated essential content used by IBM’s x86 staff to Lenovo. In 2014, Lenovo spent $5bn buying IBM’s x server business and Motorola. Hortensius said the company also spends $1.6bn per year on R&D, plus $800m on developing smartphone and tablet computing. “Innovation starts with real customer problems, which is why innovation centres are important to us,” he said. Lenovo is the largest PC manufacturer, with a 20% market share. According to Hortensius, the company is now the third largest manufacturer of wearables and it is number three in the enterprise. In China, Lenovo also operates a cloud computing service. Hortensius predicted 20% of the company’s revenue would come from its server business. HPC combined with analytics will drive and define Lenovo’s server strategy. “There is still a requirement for support and interoperability, and managing bigger datacentres. We see market expansion, and this is a market that is growing. Every problem we solve leads to 10 new problems,” he said.